Are you ready to get started with creative art Bible journaling? If so, you might want to grab a few supplies. But if you want to pick up some supplies that will help you have even more fun with your Bible journaling, I wanted to provide you with a list of my personal favorite supplies. 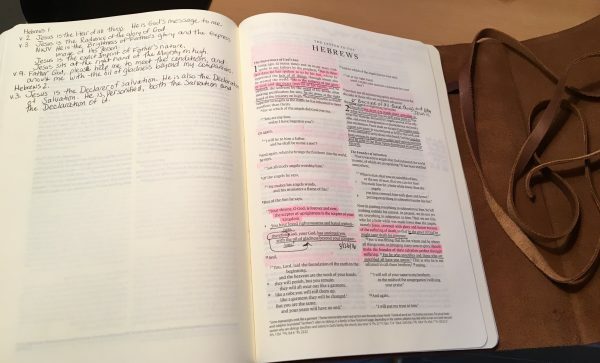 Journaling Bibles have extra-wide margins. They are specifically made so you will have plenty of space to draw and write without taking over the text. Of course, it’s fine to draw over the text if you want to; I do. If you are careful, you can still read all the text right through the color. I have two journaling Bibles, but I use one of them for taking notes and crafting sermons in and the other for art. I have recently found myself wishing that I had started doing art in my note-taking Bible instead of the other one, so who knows. Maybe after I fill up my art Bible, I’ll start again on my note-taking Bible! This Bible is NKJV. It lays pretty flat, which is helpful, and it’s nice and light. It’s about two inches thick; maybe a little less. You can check this NKJV journaling Bible out on Amazon here. They also have lots of different styles of covers, some with pretty fabric in floral designs, etc. Just search for Thomas Nelson journaling Bibles, and you’ll see tons of options for cover designs. 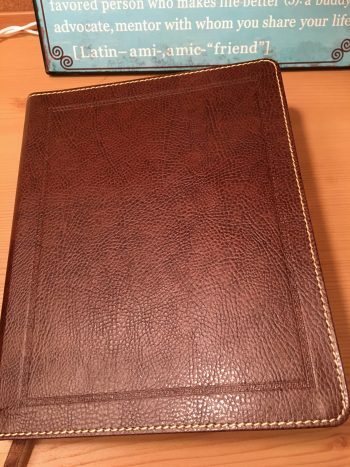 My Bible for note-taking and sermon crafting: Crossway’s ESV Interleaved Journaling Bible. I love, love, love this Bible and hope to keep it and use it the rest of my life. Click the image to check it out on Amazon. You could use this Bible for artwork just fine if you wanted to. It has the most space of any Bible. But, it is heavy and it doesn’t really lay flat due to its heft. The ESV Interleaved Journaling Bible is very thick and heavy. It doesn’t lay quite flat for artwork, due to its thickness. I’m okay with that; it’s a gem anyway. But, I don’t use it for art, and I might have a different opinion if I did. This Bible is Crossway’s ESV Interleaved Bible, patterned after Jonathan Edwards’ famous Bible. They just published it recently, and I freaked out when I saw it and knew I had to have it. I hope to keep it and use it the rest of my life. It has a blank page in between every page in the Bible. Related: Read my review of the Crossway ESV Interleaved Bible here. These paints are amazing, and I love the colors. Acrylic paints are water-based, so you don’t have to bother with paint thinner or nasty smells. This color set, made by Illustrated Faith and called “Shanna’s Favorites” (after the founder of the modern-day Bible art journaling movement), are made to coordinate. They work perfectly with one another, and they also coordinate with all the colors of the rest of the Illustrated Faith line. So, in one fell swoop, you can have color for everything. 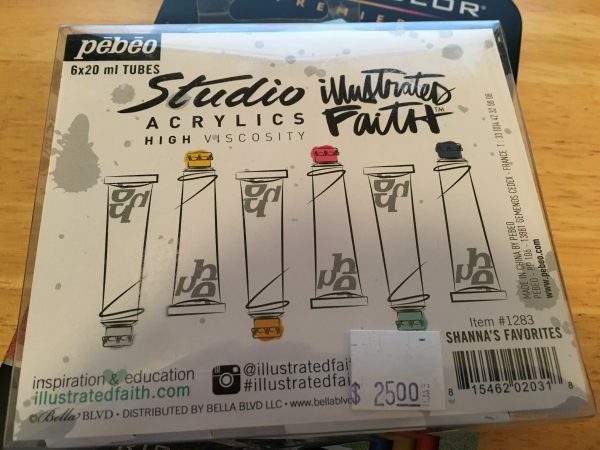 My favorite acrylic paints for Bible journaling, bar none. Click the image to check them out on Amazon. If you’re just getting started and could only afford one thing, this is what I’d recommend you get. They’re awesome. 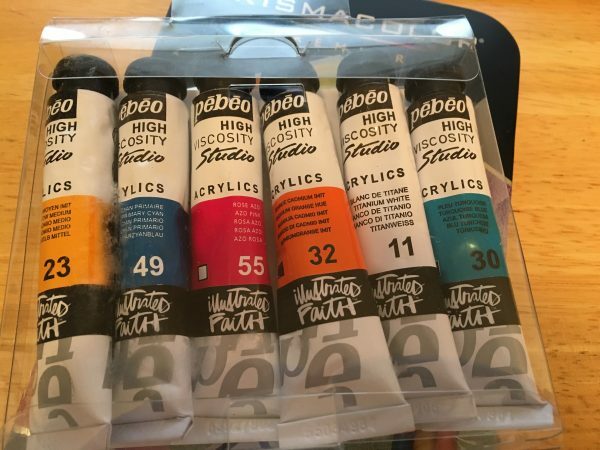 Gesso keeps your ink and paint from seeping through to the other side of the page. It works by forming a protective barrier on top of the page. I haven’t decided yet if I prefer white gesso or clear gesso. Clear is truly clear, so it doesn’t obscure the words at all. However, the kind I got is a little gritty, and the grit stays on the page unless you rub it off. The white gesso I got has to be thinned down with water before you apply it if you don’t want to obscure the words. You just add a little dab of water to a couple of drops of gesso and mix it up. These things ROCK. They’re shaped like lipstick and they come in the BEST colors, if you pick the right set. Faber-Castell Gelatos. This image contains Gelatos from the Brights, Metallics, and Pastels sets. I love Gelatos so much because their colors are so bright. 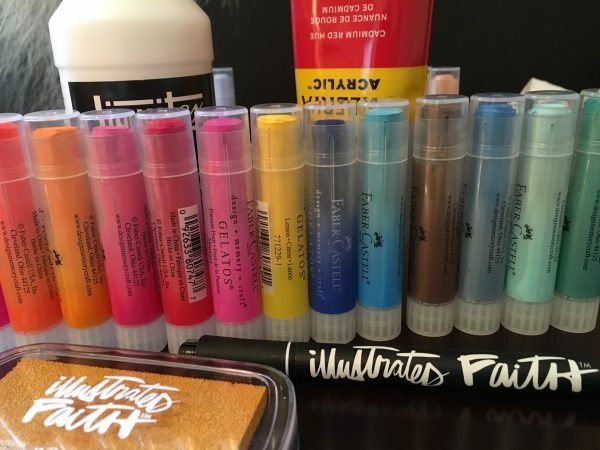 You can use them wet or dry–blending them with a damp brush, sponge, or baby wipe, or just leaving them the way they are when you rub them on the page. They also don’t reconstitute after they dry, so you can layer them and the second layer won’t mess up the first layer. You can write on them with your marker, color with colored pencil over them, etc. Over time, I have purchased the Brights, Metallics, and Pastels sets. If you were only going to go with one, I’d get the Brights. Here’s a link on Amazon, or you could also use a coupon and get them from your local big box craft store if you can find them there. Same story as above. The colors are simply wonderful, and the metallic sparkle and sheen stay on the page so nicely. I adore these enough to eat them. Here’s a link to Faber-Castell Gelatos in Metallic on Amazon. I used to be an avid scrapbooker, so I still use my old dual-tip scrapbooking marker. I love it because it doesn’t get clogged up if you write on top of colored pencils, etc. You can find these easily at your local crafting store. Prismacolors are simply the best, in my opinion. I’ve been using them since childhood, and other colored pencils can’t seem to compare. You can find them at your local store, but they’re a bit expensive there. I’d get them on Amazon for much cheaper. Here’s a fantastic set for a fantastic price. Faber-Castell white and black pens. These markers are amazing! This white pen really works. You can even layer it. For instance, I used it on top of some blue gelatos. It was fainter than I wanted it to be because of the bright blue underneath, so I waited until it dried. Then, I wrote over the same white lines again. This worked wonderfully. It’s hard to find a white pen that really works, so here you go. 🙂 Click here to find the Faber-Castell white pen on Amazon. This pen is amazing. Its tip is shaped like a paintbrush (but firmer, and all held together). (The white one is not shaped like a paintbrush; only the black one.) It will write on anything you need it to write on, and you can make fine lines or large brushstrokes. I LOVE it! Click here to check out the Faber-Castell black Big Brush pen on Amazon. You’ll use these a lot! Those are my 10 favorite Bible journaling supplies. 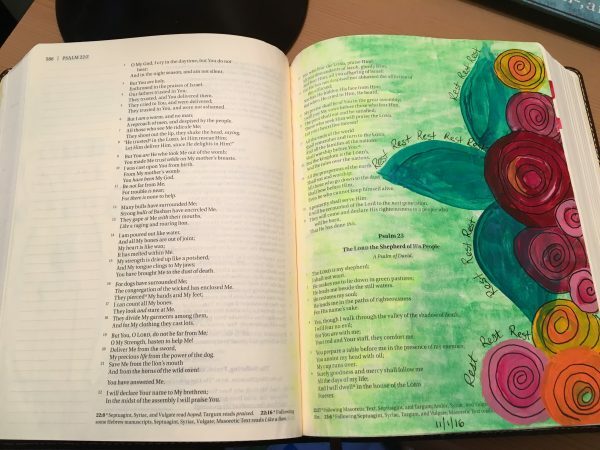 If you’ve already started Bible journaling, what are your favorites? And if you haven’t started yet, what do you think you would like to use? Go ahead and leave a comment below, so we can collect everyone’s ideas! I did a butterfly coloring page last night, new creation in Christ, it’s on the fridge. 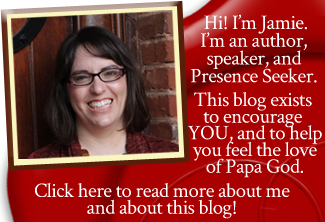 Dear Jamie, I really love this blog, I’m a beginner in bible journaling. In my creative life I like to work with paint a lot. So I am looking for supplies to use on the thin bible pages. I watched your video about the Gellatos, and I like it a lot! 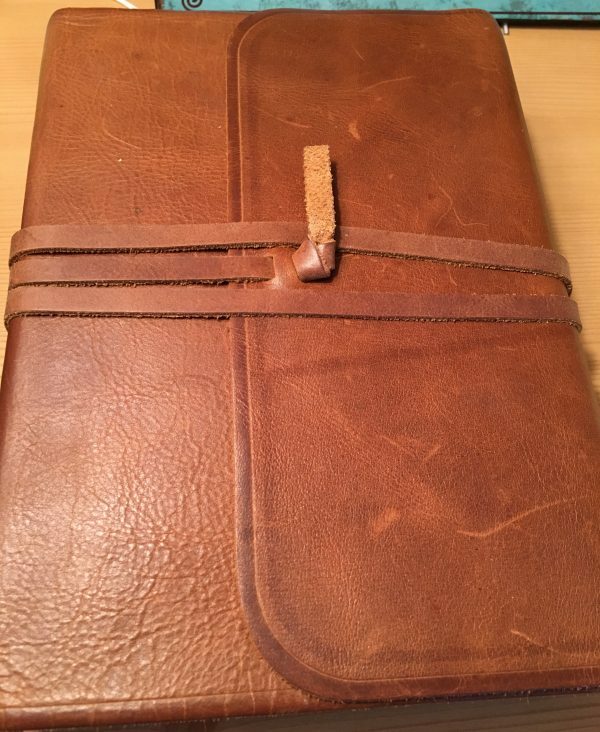 The one thing I want to know is: what kind of book you were working in with the Gellatos, it looks really nice to me! And I think the pages are less thin. Lovely greatings from the Netherlands, Nienke de Bruijn. Hi, friend! So glad you’re delving into the world of Bible journaling. I used a journal like the ones from my resource page here.my resource page here. They are lovely and I really enjoy using them. I love Pilot Frixxion pens & markers. They are really erasable! What are pilot frixxion pens and markers and where can you buy them?